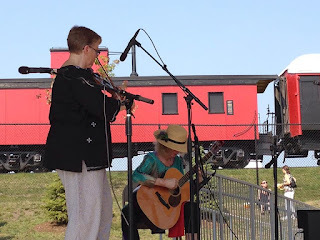 MaryPat Kleven ( president of the MN State Fiddle Association ) finished in second place at the 2015 state fiddle contest in the heritage division. The heritage division is devoted to equal parts telling stories about a tune and playing a tune. Mary Pat chose to play a fiddle tune from Leonard Finseth that was featured on the last CD. She told a great story about Leonard and how she relates to his tunes. It is wonderful to see Upper Midwest tunes get back into circulation at these events. Order actual CD thru the mail! International folks are encouraged to order the first CD from County. Michael Sawyer is a fiscal year 2011 recipient of an Artist Initiative grant from the Minnesota State Arts Board. This activity is funded, in part, by the Minnesota arts and heritage fund as appropriated by the Minnesota State Legislature with money from the vote of the people of Minnesota on November 4, 2008.
banjo player and maker from saint paul, mn.